From the old Hollywood glamour of Marilyn Monroe to the modern-day beauty icon Gwyneth Paltrow, pop culture and the makeup industry have always been intertwined. Similar to the city’s take on fashion, LA beauty culture combines two extremes: red carpet and beach looks. In the 21st century of YouTube “beauty gurus” and Instagram makeup artists, anyone with access to the internet can learn how to do their makeup like a professional. The beauty industry grows more as brands push for variety and gender-inclusivity. In 2017, Rihanna’s Fenty Beauty launched more skin shades of foundation than any other brand, and Glossier’s recent gender-inclusive campaign features male models. For those interested in makeup and beauty, this new beauty world that challenges gender norms and reaches across socioeconomic classes is more democratic than ever. Makeup application can be as simple as a bright red lip or funky purple eye shadow. Yet, for some, it represents a cutting-edge component of fashion and a way to build self-confidence. Hilary “Hil” Oglesby (sophomore) has been a dancer and actress her entire life. Originally from San Jose, CA, Oglesby has always been around makeup and costumes. Prior to her sophomore year of high school, Oglesby only had experience with stage makeup. By watching YouTube tutorials and practicing makeup application, doing makeup transformed into a passion for Oglesby. “I started experimenting more and everything, and I started actually looking forward to what kind of makeup I would be doing in a show because I knew more about it,” Oglesby said. As an active member of the theater department at Occidental, Oglesby reflected on how the association between acting and makeup have impacted both her passions. Last year, Oglesby designed the makeup for the theater department’s production of “Machinal” and helped apply it on the actors in “Machinal” and “Country Music.” The following semester, Oglesby continued her work in the theater department by designing and applying the makeup for “Winter’s Tale.” Although Oglesby has not been as involved this academic year, she still enjoys practicing new techniques on her own. When practicing new makeup techniques, Oglesby’s favorite YouTube channels to watch are Kathleen Lights and Desi Perkins. Oglesby and Joanna Aleman (senior) prefer to watch Perkins’ videos. With the recent democratization of makeup tutorials with YouTube channels, Oglesby believes the accessibility and availability of makeup tutorials de-stigmatizes many aspects of the industry. When experimenting with new looks, Oglesby thinks more about what would look good on her. “I generally try to stick with colors and shapes that I know work with my face,” Oglesby said. 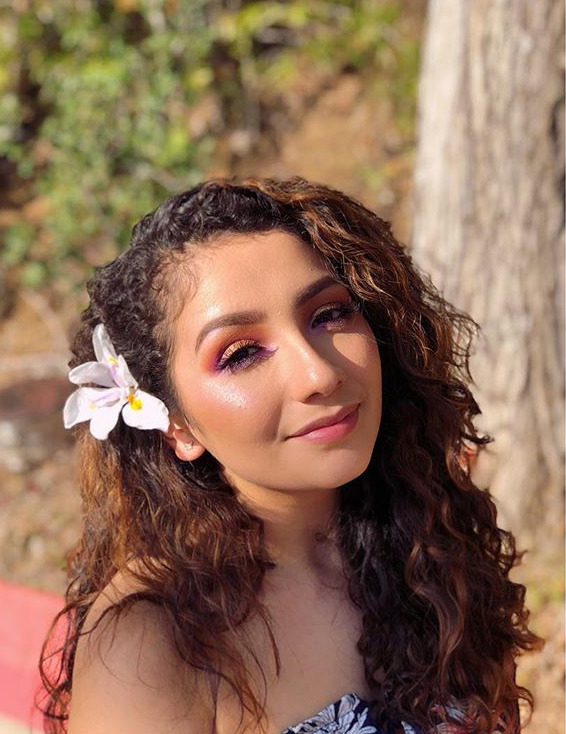 Aleman is from East Palo Alto, CA,and currently runs a makeup Instagram, @sugarglassbeauty. Inspired by close friends, Aleman turned her lifelong beauty passion into a social media account this past summer. The majority of her vision comes from other professional makeup artists’ Instagram accounts. “It’s been really fun and I’ve really enjoyed it, but it’s hard to always make time for it,” Aleman said. Balancing work during the summer and school during the academic year means Aleman usually only has time to add new posts on weekends. Aleman first started wearing basic makeup, such as moisturizer and mascara, in seventh grade. Normally, Aleman does other people’s makeup more than she does her own. Aleman started doing other people’s makeup in high school. 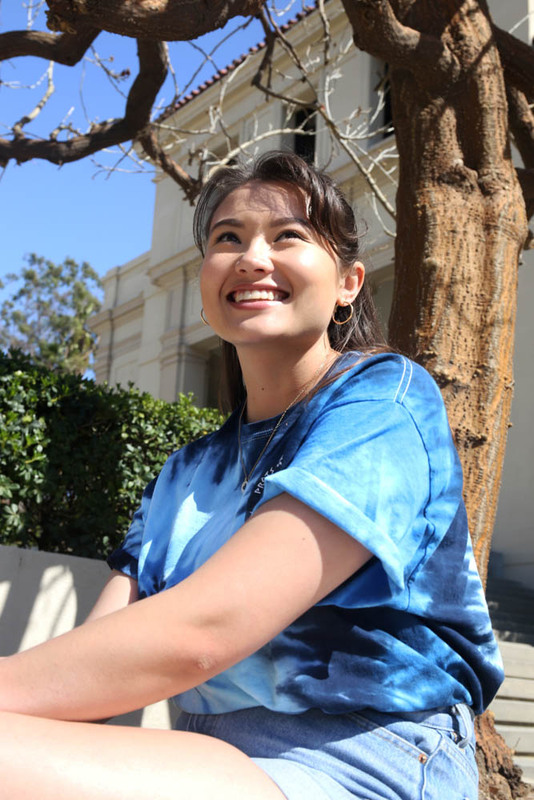 Nowadays, Aleman said she does her first-year roommate’s makeup for formals at Occidental. In terms of products, Aleman used to be a huge fan of MAC Cosmetics. More recently, Aleman notes that drugstore makeup is almost on par with super-expensive brands. Oglesby and Aleman love to focus on dramatic smokey eyes. When shopping for makeup, one of Oglesby’s favorite brands is Elf. A lot of the products range in price from between $1–$3, according to Oglesby. Elf is unique because it is sold at most drugstores instead of expensive department stores. Unlike previous generations who had to go to the department store to pick out a new lipstick, the makeup industry is now at everyone’s fingertips. Instead of trekking across town, online ordering makes it possible to purchase any beauty product, with a range of prices, from the comfort of the couch. The wide price range adds to the increase in affordability and democratization of the beauty industry, which itself remains a lucrative business. According to Forbes, the beauty industry is valued at $445 billion. 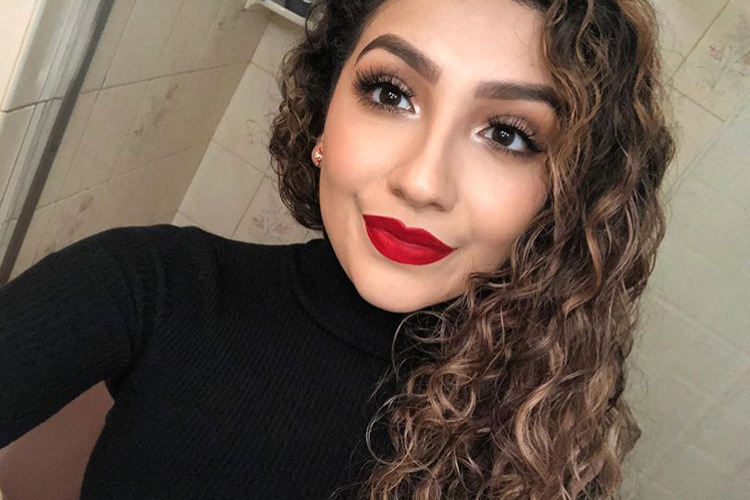 One day last summer, Aleman was watching one of her favorite YouTube makeup artist’s videos when the video advertised the opportunity to win a pass to the Fenty Beauty x Sephora event in the LA area. Shortly after submitting her name, Aleman received a confirmation email that she would be attending the event. According to the New York Times, beauty conventions can be equated to the Superbowl of the makeup industry. This event allows for new products to be launched and new celebrity endorsement deals to be publicized. “Everybody else there is also into what you’re into … it’s super cool to be able to share the space with other people who are also really into makeup,” Aleman said. Aleman’s favorite part was how many different brands were represented at the event itself. Many booths, such as the Tatcha station, offered free samples in exchange for participating in a small activity, according to Aleman. “It was a little overwhelming, but definitely very cool,” Aleman said. Following graduation in May, Aleman ideally wants to pursue makeup professionally through a position in communications or public relations. Laurence Seabrook (junior) has been into makeup for about a year. Seabrook attributes his makeup passions with his career in drag. Currently, Seabrook runs an Instagram account documenting his drag performances, @annethraxla. “It has kind of crossed over to my out-of-drag life, but not to the same extent,” Seabrook said. People in the queer community often interact with drag at some level, according to Seabrook. Seabrook’s first exposure to a drag show was in Fall 2016. 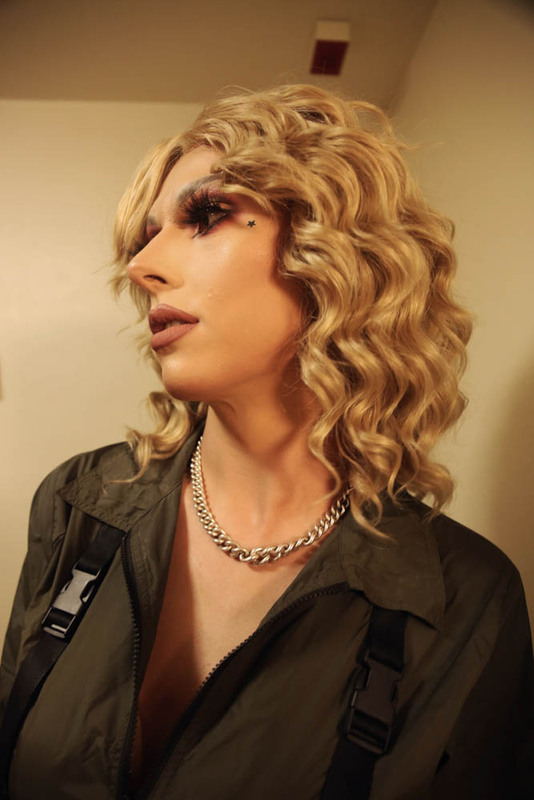 Through his experience in drag over the past year, Seabrook said he meets many people within the queer community through drag shows. Initially, Seabrook primarily used Walgreens brand makeup. This resulted in breakouts, so out-of-drag skin maintenance became a critical part of Seabrook’s everyday routine. This includes not caking on as much makeup when he is out of drag, and instead opting for a more natural look. “My out-of-drag became very light, light, light and really trying to focus on skin care,” Seabrook said. In LA, Seabrook cites having glowing, dewy skin as a big makeup trend. With the rise of natural beauty and Fenty, Seabrook said a lot more people in drag experiment with a lighter look. The makeup industry has made many women into billionaires, like Kylie Jenner with her brand Kylie Cosmetics and former broadcast journalist Jamie Kern Lima with IT Cosmetics. Many brands, including Fenty, make it their mission to break stereotypes and expand their collections. According to Aleman, companies and products have become a lot more inclusive in their selection of products over time. For his drag looks, Seabrook gravitates toward Fenty. According to Seabrook, a lot of drag queens analogize makeup to putting spackle over sandpaper in order to start with a fresh new canvas. Similar to Oglesby, Seabrook believes the Fenty level of foundation options should be a requirement for all beauty brands. For Seabrook, the evidence of more people wanting inclusivity in the makeup industry is evident through Rihanna’s success with Fenty a year after it initially launched. This past month, Fenty created a line of eight different shades of bronzer, which will be formally released April 5. Despite all of the progress that has been made within the beauty industry, many problematic issues are still apparent. Oglesby said this imperialist idea of beauty percolates into how people try to make themselves look. Western beauty standards tote bigger eyes and paler skin, according to Oglesby. 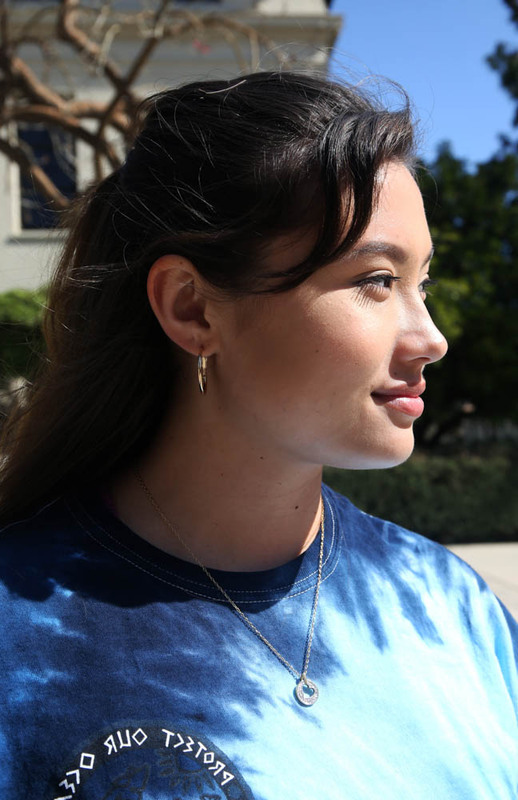 “I think it’s really great to see that people are starting to break away from that and to be more inclusive and appreciative of beauty that isn’t just western and white beauty, but beauty of all colors and shapes and everything,” Oglesby said. The beauty industry’s products have been problematic in both their limited options for different tones and its inaccessibility for men, according to Oglesby. Acceptance and diversity within the products themselves have expanded since Oglesby first became interested in beauty trends and makeup products. 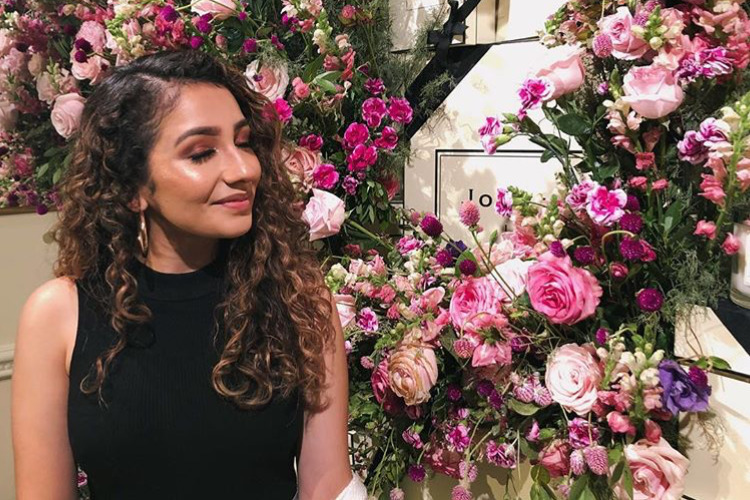 Addressing beauty stereotypes is not the only problematic issue in the beauty industry’s products, according to Oglesby. Viewers and critics abhorred recent millennial makeup gurus, such as Jeffree Star and Laura Lee, for making racist, sexist and fat-shaming comments. “I know there are many makeup gurus that are problematic for a variety of reasons, but I think we’re definitely going to see a change in our lifetime about how makeup is perceived,” Oglesby said. With technology and the age of YouTube, the true need for large Beautycon events is obsolete, according to Seabrook. He claims it is also the reason why most beauty trends are the same. Unlike famous fashion designer Alexander McQueen, not many people are out there pushing the true boundaries and definitions of what it means to be beautiful, according to Seabrook. “I think that with stuff like Instagram and YouTube and all that, it comes with pluses and minuses in that, yes, it’s lovely that people like me can jump in into drag and not be busted and learn stuff, but I think at the same time it’s created a lot of expectations for how beauty should be,” Seabrook said.